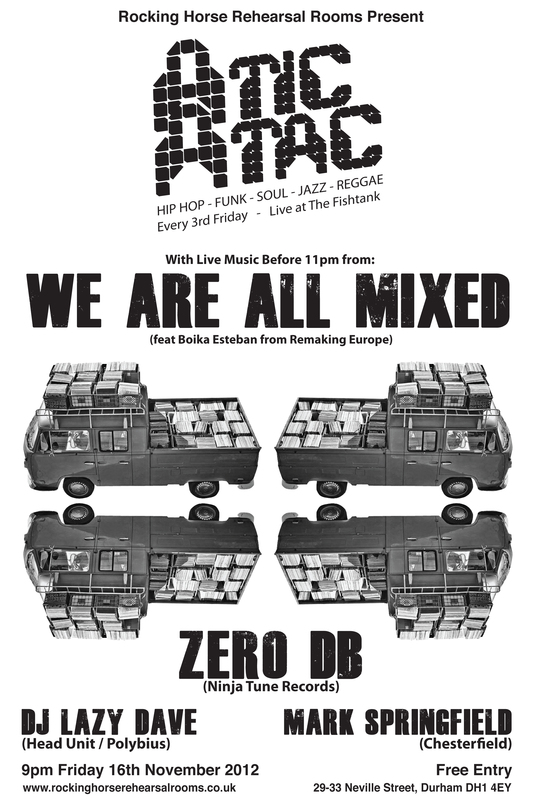 Rocking Horse’s Atic Atac returns with live music from We Are All Mixed (feat Boika Esteban from Remaking Europe). DJ’s Zero dB (Ninja Tune Records) and Lazy Dave (Head Unit/Polybius). In August Rocking Horse recorded a live set from regulars “This Then” at Jam Jah in Durham, we’ve uploaded a video playlist of the gig onto youtube, here it is. 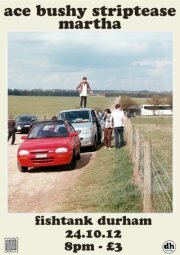 Also featuring live sets from Rocking Horse’s very own ‘Zeerox’ & ‘This Then’ & Jam Jah dj selections. SFxDHxLS – NYE 2012 – feat. 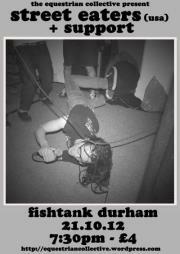 Ace Bushy Striptease / Martha / T-Shirt Weather – Fishtank – 31st December – 9pm – Pay what you like! Probably the reason that the Mayans thought the world would end this year. Lo-fi pop punk from Neville’s Cross. They might even have a new single out. DIY punks, Martha will be seeing in 2013 with an extra special secret set. Liquid Swords – Hip Hop etc. 9pm til next year – Pay what you like! James Adair is an Artist based in Durham city. Since 2010 he has used painting, montage and drawing to explore the conflict in Northern Ireland; a conflict euphemistically referred to as “The Troubles”. Using Any Means Necessary is a selection of work from this period marking two milestones; the conclusion of this phase of Adair’s exploration and the centenary of “The Ulster Covenant”. The Ulster Covenant Signed on the 28th of September 1912 by half a million people, including Adair’s Great Grandfather,was an act of defiance against the state, But it was no breakaway movement. On the contrary they wanted Ulster to remain part of the United Kingdom and were prepared in “… using all means which may be found necessary” to remain citizens of the United Kingdom. This signing of the Covenant was a robust response to the conferral of home rule on what was then a unified Ireland. Within a decade of the signing, the British Government relented to the wishes of the majority of both the North and South, with Northern Ireland therein remaining part of the United Kingdom and the Republic of Ireland gaining Independence. The Northern Ireland we see now is one largely at peace. Adair however grew up in a turbulent Northern Ireland with thousands losing their lives in the complex conflict.This exhibition is a result of 3 years work for Adair and a century long journey for Ireland. It contains snapshots of times, places and people and is intended as an emotional and artistic representation of a history best described as “troubled”. 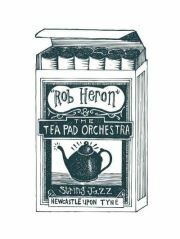 JJ is very proud to announce a return visit from the amazing Rob Heron & the Teapad Orchestra, breezing in at the end of their uk tour. They play an eclectic and original musical brew of 1930’s swing, gypsy jazz, hokum blues, cajun, and country, all with similar themes of debauchery, dandyism, disasters and drink. Previous visits have absolutely torn the roof off, do not miss this band! Pllus Jam Jah dj selections-dub funk reggae afro & beyond…..
As ever the high quality, low cast Jam Jah Bah, for all you drinks snacks & refreshments. Ace Bushy Striptease are heading out on tour to celebrate the launch their brand new album “Outside It’s Cold Just Like the Inside of Your Body And” and they’re coming to Durham! Trivia – They’re in waaaay over their heads. 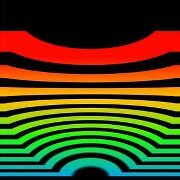 Atic Atac returns with DJ’s Zero dB (Ninja Tune Records), Lazy Dave, Mark Springfield and MC Gaijin. Expect Hip Hop, Funk, Soul, Jazz, Reggae, Dub, pretty much anything with a dirty bassline! All the way from Berkeley, California, come this amazing DIY noise punk duo. Featuring Megan from Neverending Party and John from The Fleshies, it’s a California micro-supergroup of sorts. Awesome politically informed punk rock jams. Don’t miss this show!!! MORE INFO (INCLUDING SUPPORT BANDS AND VEGAN CAKES) COMING SOON!